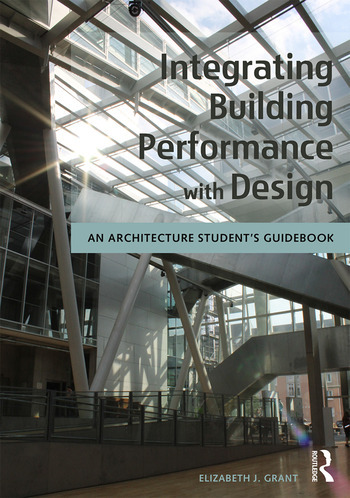 Integrating Building Performance with Design shows you the importance of designing for building performance early in your architectural design process. The book offers you simple tools and exercises, along with examples of built professional work and successful student projects illustrated by more than 100 full color images to help you with your work. Topics include site, solar orientation, thermal comfort, building enclosure, daylighting, passive heating and cooling, active heating and cooling, indoor air quality, stormwater, and rainwater harvesting. Elizabeth J. Grant is an associate professor at the School of Architecture + Design at Virginia Tech in Blacksburg, Virginia, USA. She is a registered architect and the Associate Director of the Center for High Performance Environments. Her interests include environmentally sensitive design, building enclosures, and building systems integration.